There are a number of proactive measures we as a profession can take in pursuit of remaining relevant to contemporary consumers. Developed from ideas presented by Kim Medici Shelquist, Senior VP of Planning & Development for Homesteaders Life Company, and Ernie Heffner, President of Heffner Funeral Chapel & Crematory, this post focuses on the relationship between end-of-life care and death care and the family’s experience. The first US hospice was established in 1974 and viewed as an alternative to current heathcare options for those at the end of life. Kim explained that, in many cases, traditional healthcare establishments were not welcoming, so hospice professionals had to fight for respect. The largest growth of hospice care providers in America occurred after Congress passed legislation in 1982 to create a Medicare hospice benefit allowing Medicare/Medicaid to fund hospice care. As of 2014, there were 6,100 hospices nationwide and more entering the market every year. Most hospice care is not a non-profit endeavor but rather care provided by for-profit organizations and keenly attuned to demographics, networking, market shares and the competition. Ernie described that hospice organizations have changed significantly from the volunteer-based approach some of us may remember from the early days of hospice care and now have first-class marketing graphics and a business plan to match. The close personal relationship of a hospice care provider with surviving family members does not end with the patient’s death but can extend for more than a year after. Ernie researched and reported many of the following statistics from the website of the National Hospice and Palliative Care Organization. Free standing hospice organizations not affiliated with a hospital are on the rise, 58.3% in 2013 increased to 72.2% in 2015. Not-for-profit hospices are decreasing, 34% non-profit in 2011 down to 31.9% in 2016. Of all US deaths, 44.6% in 2011 occurred under hospice care, 46.2% in 2015. 59% received in-home care. The average length of care decreased from 72.6 days in 2013 to 69.5 days in 2015. The median length of care decreased from 18.5 days in 2013 and to 17.4 days in 2014 and increased to 23 days in 2015. Aftercare: Few if any funeral homes have an aftercare program like hospice. 92% offer community bereavement support. Through ongoing bereavement activities by a “bereavement coordinator,” the hospice organization maintains a relationship with the family long past the time of the patient’s death, in fact monthly for 13 months after the death. Volunteers in Hospice Care: Statute requires that 5% of people hours are provided by volunteers. Many hospice organizations have a person dedicated to recruiting volunteers. In 2014, 430,000 volunteers provided 19 million hours of service. Spiritual Advisor: Hospice organizations are required to have a spiritual advisor on staff. Hospice chaplains are often very well-trained in non-denominational, non-religious approaches to the spiritual side of life and death. Hospice care providers are a very special, caring group of people. They are held in high regard by the families they serve. Their opinions and advice are trusted. They are passionate, dedicated, and tenacious. There is little turnover, and even those who do leave often move to another hospice. No other healthcare professional actively talks to family about the end of a life and planning the way a hospice care provider does. Kim explained that they do whatever is in their power to reunite families and meet patients’ needs, they are flexible and open-minded, and they figure out how to provide the best end-of-life experience possible. Ernie recommends the chapter “The Power of Presence” in Doug Manning’s book, The Funeral, to appreciate the connection and relationship hospice care providers have with families. Almost half of all deceased people in the US last year were under hospice care before they ever got to a funeral home, crematory, cemetery, or anatomical gift registry. That’s significant, because unless you have a great community engagement program, a family’s first contact about funeral plans is hospice staff. Social workers ask patients and families about their wishes and intentions long before you see them. Statistically, these caregivers have built a very personal relationship with almost half of these families immediately prior to the death of their loved ones. If that doesn’t motivate you to think about what you’re doing in your community and your hospice outreach, I don’t know what will. The average length of hospice stay is about 70 days. That’s a long time to create a relationship with the family. 59% of hospice patients receive in-home care. Hospice staff go in, day after day, and build that relationship and gather the details of their lives and their family dynamics. It’s a very different situation – we get three days, they get almost three months to hold those really hard conversations about really hard parts of a patient’s life. In that role, they become trusted advisors and the go-to people for all things related to death and dying. The average hospice caregiver, no matter how well-intentioned, only knows as much about funeral service as someone who goes to a lot of funerals. Most are invited, and attend, many patient’s services and thus see many local funeral homes. 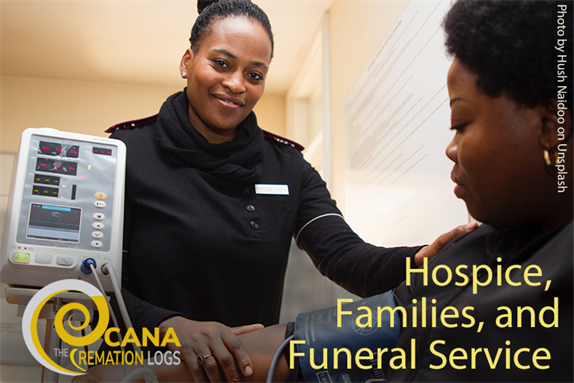 But, there’s no aspect of hospice training that goes into the ins and outs of funeral service. We use a lot of trade-specific information and technical jargon that is confusing to families and just as confusing to those caregivers. And if these people go to a lot of funerals, it means they go to a lot of bad ones, too. What does that caregiver think after they leave? If the next family asks, “What should we do?” they might not recommend your funeral home because they remember that bad service. Some funeral directors ask, “Why do they tell them to do the cheapest thing?” Kim reminds us that the social worker has seen their hospital bills, heard about maxed-out credit cards, and sat with the widow afraid of losing the house after losing her husband. That social worker is not concerned about whether the funeral home is interested in offering an upgraded casket. If the social worker sees you trying to sell the family anything, they might remind them that they don’t need it. It’s not right or wrong—it’s just the way it is. We can talk about “that’s not her role” or “the family might have wanted to do something nice and she took their choice away,” but you’re talking about a dynamic where she was protecting them. Hospice social workers and caregivers take their role as advocates very seriously. They value collaboration. That means if you can create a relationship and build trust, you can position yourself as an advocate of the family, and you can collaborate on the process. If they see you acting in the best interest of their families, they will support you. By the time the hospice family comes to the funeral home, you need to understand what they’ve been through. You are professional and passionate members of funeral service, but terminal illness is different. In a hospice situation, the family often has the opportunity to come together and say goodbye. Sometimes, they’ve done it three or four times. They’ve done the first part of the grieving process. They've had a lot of time to talk about death, to think about death, and often have additional support via hospice resources to prepare and guide them. The family is often present at the time of death, and it’s not unusual for them to have a brief ceremony right then. Kim explains that, the presence of the family, the words of the chaplain, the goodbye to their loved one – after that, they may not need a traditional funeral to process their grief. And it’s important for funeral professionals to understand that. That’s not to say that there isn’t need or opportunity for service and ceremony, but we must remember that those in hospice have declined for a long time. Their survivors often say “I don’t want people to see my loved one like that.” It’s hard for families to think about a visitation because of the change that illness has brought. They don’t want their friends and families to remember the deceased that way, or worse, not recognize their loved one anymore. But they don’t necessarily understand what you can do about that. They don't always understand how body preparation can make a big difference—whether they agree to full embalming (which can reduce swelling or return moisture) or merely a shave and a haircut (which can make them look like themselves again). Lastly, you know that these families are spread out, so they’ve spent time and money on travel in addition to the financial costs of long-term care, lost time at work and time with their immediate families. They are exhausted physically, emotionally, and financially. And this stress has likely heightened any kind of disagreements about medical care and funeral planning. Read all you can to learn about the hospice profession. Then research your state’s licensing requirements for Registered Nurses (RNs) specifically the continuing education (CE) requirements and what qualifies for program content. These need to be compliant with RN CE requirements. Include reporting, record-keeping system and handout material to be used. Then apply to get your program(s) certified by your state’s nurse licensing division. This could be a part-time position about 18 to 24 hours per week. Consider recruiting a retiring hospice social worker interested in a part-time position. Have this person be your representative to offer continuing education. This person should also attend monthly networking events relevant to serving seniors. Dr. Alan Wolfelt, internationally acclaimed grief counselor, author and educator, has said “Education starts with understanding the people we serve.” To that point, it is helpful to review the demographic and societal statistics of your community, understand how these facts dramatically impact end-of-life service providers, and embrace the adaptations needed by the profession—including further education and training—in order to remain prospectively relevant to contemporary consumers. Like Ernie says, life is about relationships and experiences. We are in the business of celebrating the life of the individual by recognizing how they touched the lives of others. Our mission is to orchestrate and direct a meaningful ceremony with compassion, flexibility and options and in way that is as unique as the person who died. Kim Medici Shelquist's remarks excerpted from her presentation at CANA's 2017 Cremation Symposium titled "Seek First to Understand: How will changing demographics and end-of-life care options impact the funeral profession?" Ernie Heffner's full article is featured in The Cremationist, Vol 55, Issue 1, titled “Staying Relevant in a Changing World” featuring important discussion on the role of Celebrant services, the importance of minimum standards, hospice, and more. The Cremationist is an exclusive benefit of CANA Membership. 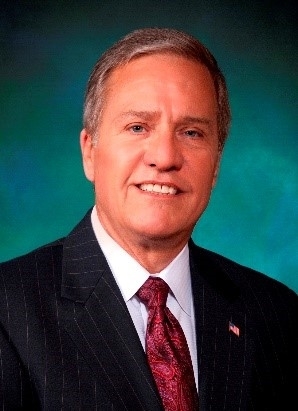 Ernie Heffner is President and Owner of Heffner Funeral Chapels & Crematory, York, PA. After graduation from Pittsburgh Institute of Mortuary Science, he joined his father in a two-location firm serving about 100 families annually, with a cremation rate of about 4%. The firm grew to 22 locations in 2 states with 100 employees. That growth was during the acquisition mania of the 1990’s. Subsequent to strategic contraction, the firm today serves from six Pennsylvania locations, continuing as a “Mom & Pop” firm owned by Ernie & Laura Heffner and operated by Heffner and John Katora, V.P. and Heffner associate of 38 years. Ernie appreciates the truth of proverbs 22:10, which he paraphrases as, “Minimize the challenges in your life and your life will be better.” Focusing on organic growth and the pursuit of relevance to contemporary consumers has led to gratifying results. Kim Medici Shelquist joined Homesteaders in 2009 as Director of Marketing Communications after many years as Business Development and Communications Director of Hospice of Central Iowa. At Homesteaders, she added breadth and depth to the marketing department that resulted in the creation of several key B2C public relations and sales programs. Her efforts were also instrumental in helping Homesteaders become a recognized leader in preneed funding. 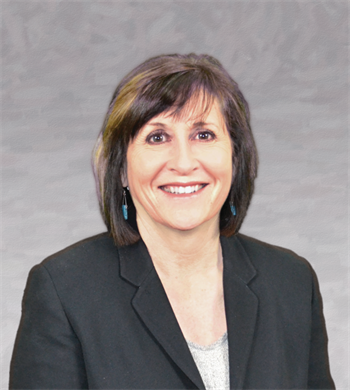 Today, Kim oversees Homesteaders’ strategic planning and project management process as the Senior Vice President of Planning and Development. Her team is charged with identifying, evaluating and developing new opportunities that will help Homesteaders grow long into the future. Kim holds a bachelor’s degree in journalism and a master’s of business administration, and is a Fellow, Life Management Institute.